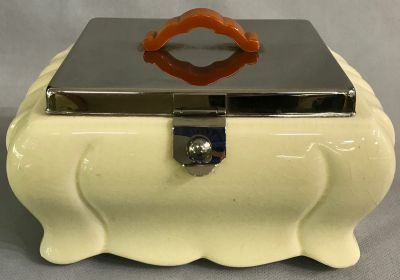 Art Deco earthenware box, Czech, circa 1930. The cover and latch are chrome with a Bakelite handle. The original use might have been for a biscuit box or a jewellery box. Perfect for any small collection. 8” by 5 1/2”, 4 3/4” high.